At the construction site with Angela, one of the children of the family. I adore this little girl! She, her mother and older brother all have eye problems with varying degrees of severity. 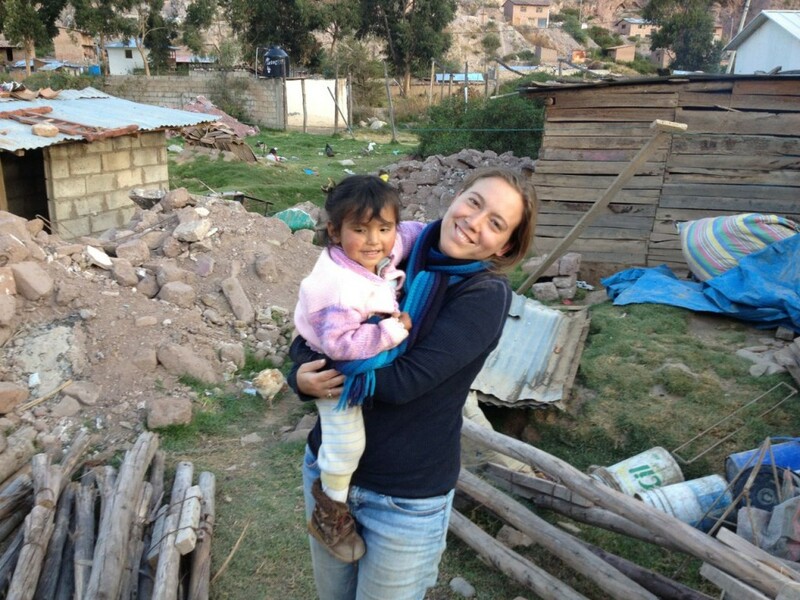 We will be taking them to a nonprofit clinic in Cusco. I’m hoping they can head off the children’s problems before they become irreversible.